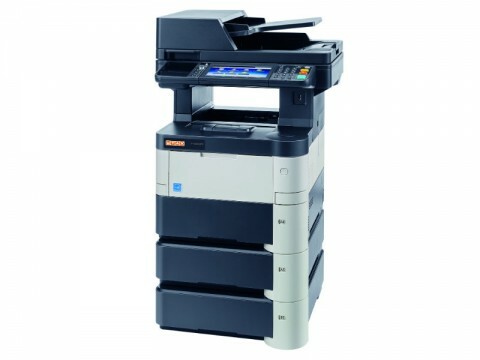 Finding a reliable assistant, capable of multi-tasking is a game of luck – unless you decide to go for the P-3527w MFP. 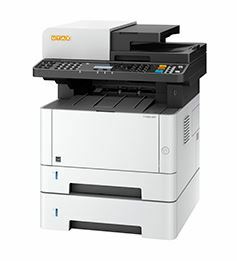 It prints and copies with a speed of up to 35 A4 pages/min., scans and sends faxes, and even offers a Wifi interface in addition to its network and USB interfaces. All along the way its intuitive, colour touch screen makes operating errors a thing of the past. Don’t wait until lots of paperwork piles up on your desk! 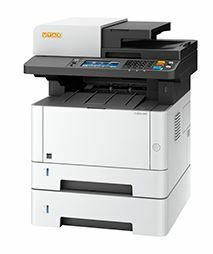 Let the P-4020 MFP do away with it for you! 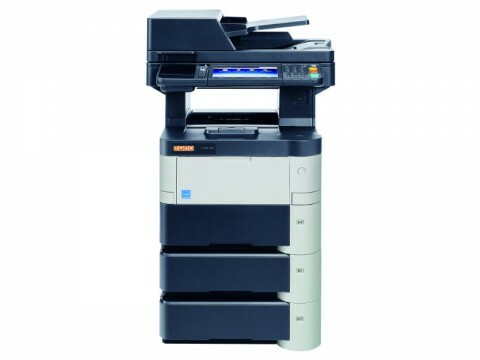 It prints, copies and scans very efficiently with up to 40 A4 pages/minute, thereby quickly reducing your workload. It is also extremely compact and quiet during operation. You wish to access your MFP from your smartphone or tablet? No problem at all with the free-of-charge Mobile Print App. With the P-4026iw MFP you are always in control of any situation in the office, because its intuitive touch screen offers you perfect guidance through all the versatile functions – as if by magic! 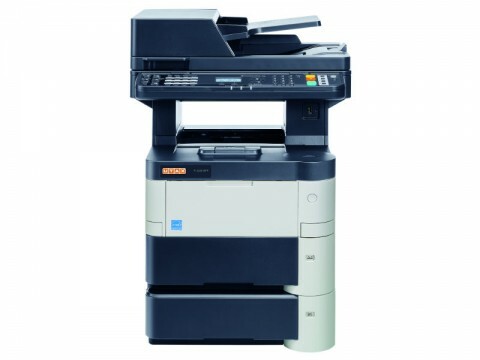 This MFP prints and copies with up to 40 A4 pages/min, scans in colour and b/w and even send faxes – very efficiently and at the highest of qualities at that! It offers various interfaces for network, Wifi and USB, as well as a HyPAS interface for the seamless integration of software applications and solutions. 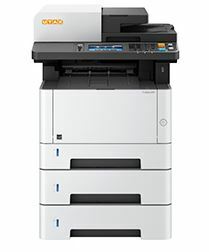 This A4 b/w MFP is unassuming, yet does all the work assigned to it, without any ifs and buts: It copies and prints with up to 35, and scans with up to 40 A4 pages/minute – in the best of qualities – while requiring very little space and working extremely quietly. Sounds like the perfect employee, doesn't it? 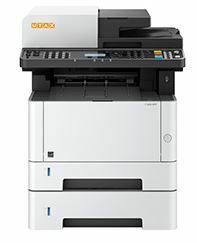 Quiet and space saving: no matter whether you wish to scan, print or copy, thanks to this MFP’s Quiet Mode you can concentrate fully on your work. User-friendly and efficient: the large, tilt capable touch panel can be operated intuitively and configured individually just like a smartphone. HyPAS integrated. 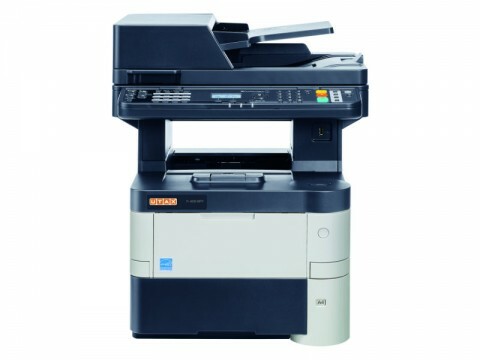 Compact and versatile, offers many highlights that simplify your daily working routines as far as printing, copying, colour scanning and faxing is concerned. The duplex unit for double-sided printing and a large paper supply ensure smooth and efficient job processing even for larger teams. Up to 75 originals. 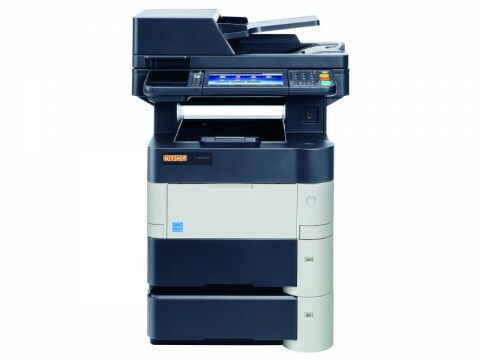 Powerful and fast: this 4-in-1 MFP will do almost any job for you. 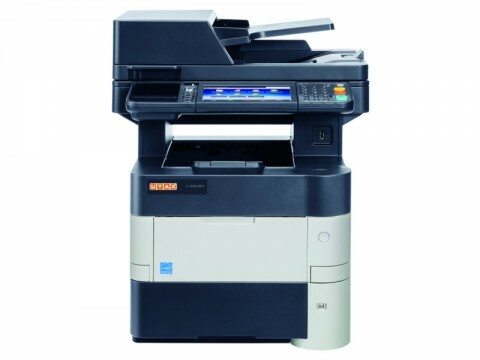 It prints and copies with up to 50 A4 pages/min, scans in colour and b/w, sends and receives faxes. 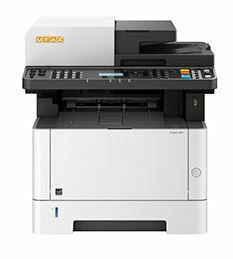 Professional and expandable: with 60 A4 pages/min in simplex and 43 A4 pages/min in duplex mode this 4-in-1 multi-talented machine is outrageously productive.